Fasten master has replaced the popular Ub8012 hot melt glue by PAM with Fmflex40 and FMFLEX180. The HB220 hot melt glue gun can easily create a high strength bond between carpet tack strips or metal clips and finished concrete, fiber cement backer board, or wood prior to the carpet being stretched over a floor. The major advantages in using Fmflex40 glue with the HB220 gun are strength of the bond and the quick 5- minute set up time of the adhesive. This allows the carpet installer greater productivity by not having to come back the next day or wait hours for the adhesive to fully cure before stretching carpet. The Fmflex40 must be applied at the pre-set temperature of 390 degrees on the HB220 glue gun in order to achieve maximum bond strength and an open time of 40 seconds. For project that may need longer than 40 second working time use FMFLEX180. Fastenmaster's new FMFLEX180 gives you 180 seconds of working time with a full bond time in 8 minutes. 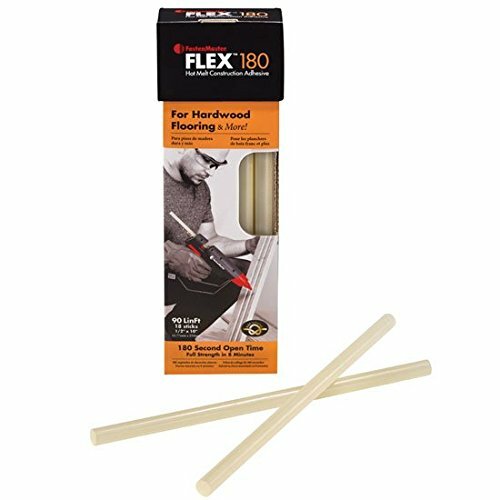 Fmflex 180 is strong enough to be used in hardwood floor starter and finish rows, interior wood trim, bullnose, t-molding and many, many more applications. 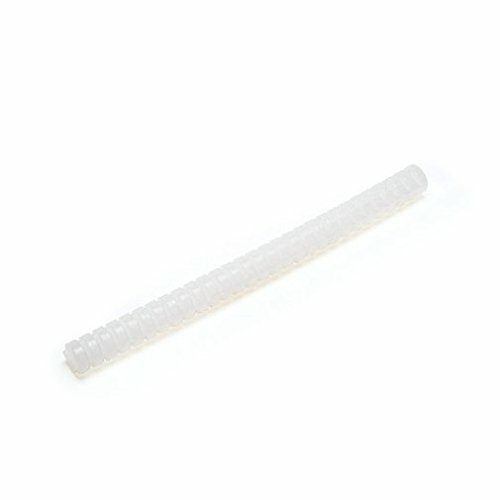 3M 3792 Q clear hot melt adhesive is compatible with abs, acrylic, chipboard, coated cardboard, fabric, foam, paper, pvc, uncoated cardboard and wood materials. 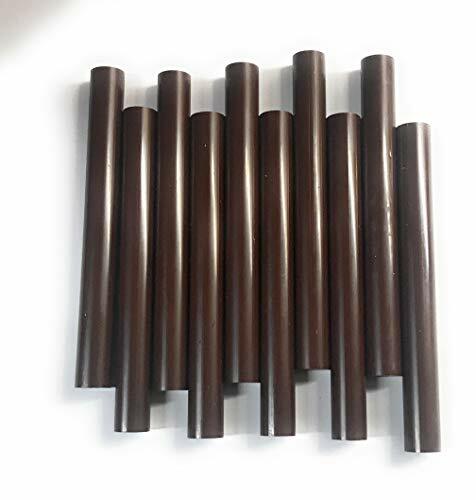 Additionally, this hot melt adhesive is a high melt adhesive with a melting point of +177.8 F. Diameter of the 3792 Q hot melt adhesive is 5/8 in. Delivers great performance with a shear strength of 250 psi and peel strength of 13 piw. 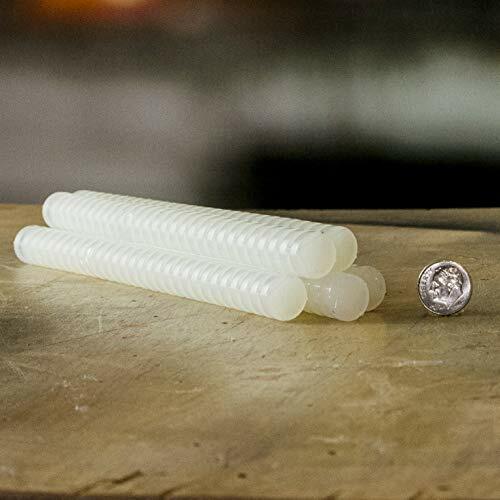 3M 3792Q Hot-Melt Adhesive is a multiuse bonding stick that is an ideal solution for fitting adjustment on corrugated boxes, polyethylene, polypropylene, and wood. It is manufactured from 100% solids and thermoplastic resin. The hot melt glue stick does not produce pungent odor when heated and has a lower melting point (76 121 deg. C approximately). It has a 40-50 second open bond that allows for right positioning. It is best to use this adhesive stick with 3M Hot Melt Applicator LT, LT Quadrack or EC as per the version. 15S SUPER FAST HEATING Our hot glue gun just 15s to warm up. Its smart temperature control design enables it to remain constant temperature. It bonds immediately and cools to the touch super quickly, thus being ideal for home use. 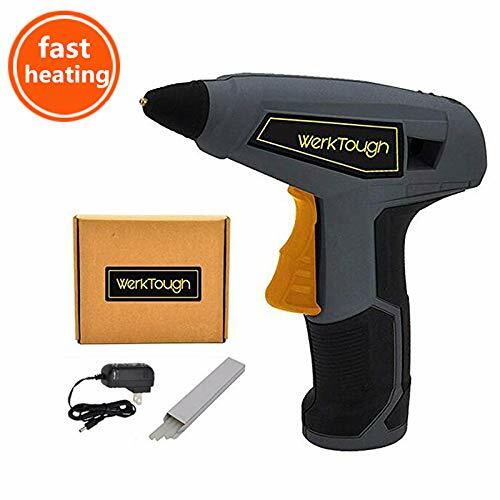 SAFE AND EFFICIENT GLUE GUN : With High - Tech Electronic PTC heating technology , inside place the fuse,it's heating very fast and automatic of control temperature. Rechargeable design, convenient and fast that meet well your demand. MULTIPURPOSE & 3 PCS FREE GLUE STICKS : With 3 pcs glue sticks( 7.3 0.3mmX150mm),super strong adhesive.And the hot gun adopts leak-proof glue design ,high quality copper nozzle propulsion device controls glue flow and will help you save much more glue sticks. WIDELY USED : Release your creative genius! Perfect for craft, holiday, birthday, anniversary, & DIY projects . Easy to carry but not suitable for industry. FRIENDLY and FAST CUSTOMER SERVICE : Giving top priority to customers and the product quality, we offer you a 100% money back guarantee and two years quality warranty. If you have any problems, pls contact us immediately, we will try our best to help you ASAP. Be it any surface or application, 3M 3738Q Hot Melt Adhesive is a reliable choice for quick bonding and adhesion. The heat-activated adhesive is made using solid thermoplastic resins that melt down instantly on heating. Use this glue stick to bond foundry sand cores, wood bonding, selected plastics, polystyrene foam, floral displays, coated paper stock chipboard, etc. With its quick bonding action, the melting glue allows the surfaces to reach their bonding strength immediately, thus eliminating the additional drying time. The thermoplastic adhesive is used for woodworking, furniture, automotive, transportation, aerospace military, window, door, building, and other construction applications. Specifications: the melt-hot glue stick measures 5/8 in. (diameter) x 8 in. (length) and weighs 1 lb. Make a really good deal ! 2. Glue gun nozzle must not be held upwards. 3. Keep glue sticks clean to avoid blockage of the nozzle. 4. The glue gun may smoke for 30 minutes during first use. 5. Do not use in humid environment to avoid from electric stock. 6. Do not touch the glue gun nozzle or the melted glue while in use. 7. Prohibited from use under flammable and explosive conditions when heated to high temperatures. The sticks are a higher viscosity and longer open time stick . 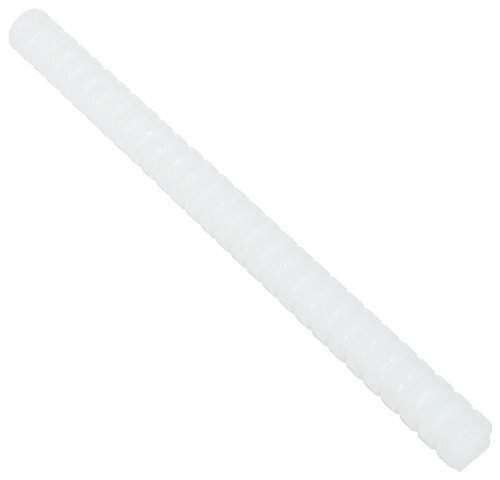 100 standard round glue sticks for high temperature glue guns . High temperature for strong bonding : wood , plastic , metal , glass and more . 3MTM Hi Temp Polyester Tape 8992 Green, 2 in x 72 yd. 3MTM Polyester Tape 8992, 3.2 mil dark green polyester heat tape with silicone adhesive. 3MTM Polyester Tape 8992, used in a large variety of high temperature masking applications including powder coating and flash breaker / bag sealing applications. Additional applications include splicing, tabbing, or roll closing silicone treated line. Adhesion To Steel Oz/in (n/100 mm) 33 (36). 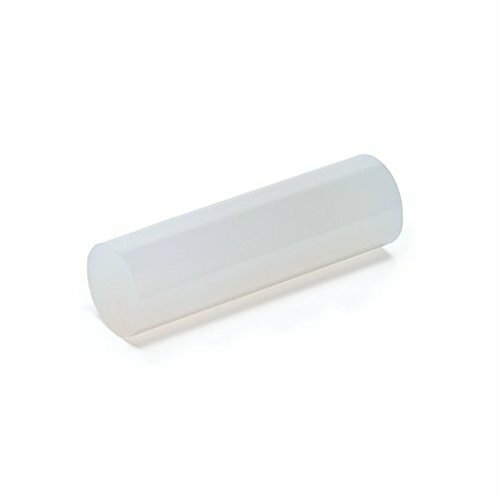 Backing Thickness 2 Milli-inch (mil) or 0.05 mm. Length 72 Linear Yard. Length (metric) 65.83 Linear Metre. Product Form Roll. Shelf Life 18 Month. Tensile Strength Lb/in (n/100 mm) 48 (840). Total Thickness 3.2 Milli-inch (mil). Product assembly; plastic assembly; sand core assembly; luggage assembly; fabrics and apparel; costume design; toys and games; and trophy nameplates. Electronics and electrical; rigidizing components; attaching components on PC boards; wire fastening; potting; coil terminating; cable strain relief. Point of purchase display and trade exhibits; corrugated display manufacturing; counter top displays; jewelry case displays; polystyrene foam; floral displays; coated paper stock. Used for furniture and woodworking; upholstered furniture; corner spacer blocks; drawer bottom stiffener; wood drawer guides and fabric bonding. 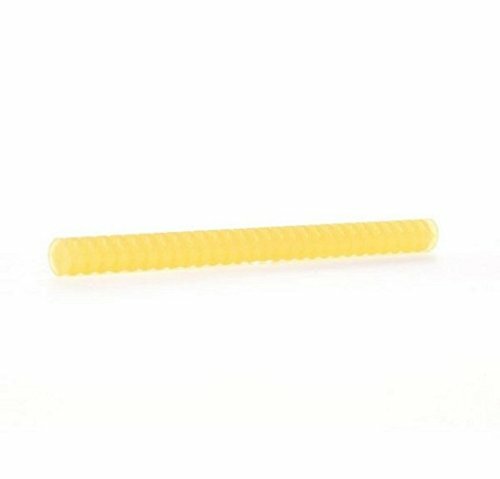 3M 3792LM-TC-5/8-2 Hot-Melt Adhesive - Multipurpose, Non Corrosive Hot Glue Stick. 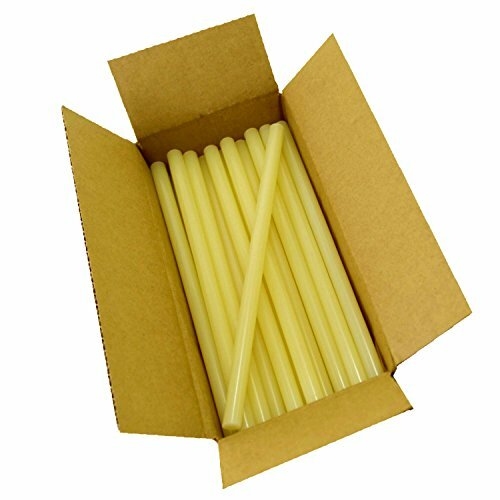 3M 3792Q Hot-Melt Adhesive is a multiuse bonding stick that is an ideal solution for fitting adjustment on corrugated boxes, polyethylene, polypropylene, and wood. It is manufactured from 100% solids and thermoplastic resin. 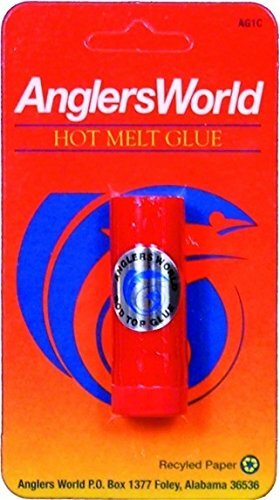 The hot melt glue stick does not produce pungent odor when heated and has a lower melting point (76 121 deg. C approximately). It has a 40-50 second open bond that allows for right positioning. It is best to use this adhesive stick with 3M Hot Melt Applicator LT, LT Quad rack or EC as per the version. This Chocolate Brown Glue was developed for use in PDR Paint less Dent Removal the brown colorant was used to tell the blends of glue apart in the field. This glue works great for crafts and projects as well. This blend works well in spring and Fall temperatures. 3MTM Polyester Heat Tape 8992 Green, .75 in x 72 yd. 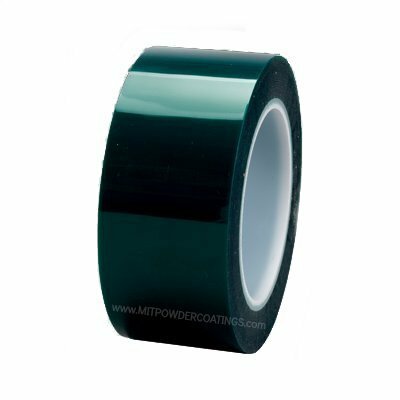 3MTM Polyester Tape 8992, 3.2 mil dark green polyester heat tape with silicone adhesive. 3MTM Polyester Tape 8992, used in a large variety of high temperature masking applications including powder coating and flash breaker / bag sealing applications. Additional applications include splicing, tabbing, or roll closing silicone treated liner. 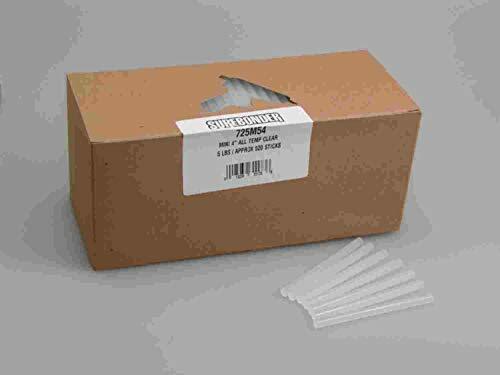 Surebonder All Temperature Mini Glue Sticks-25 LB. Box 2,825 Sticks. All -temperature works at either low temperature (230 degrees F) or high temperature (380 degrees for everyday gluing projects. Use with high or low temperature mini glue guns. Bonds to metal, wood, paper, fabric, magnets, ceramics, floral arrangements, glass and plastic using a high temperature glue gun. Bonds to delicate materials such as balloons, ribbon, lace and children's crafts using a low temperature glue gun. Clear color with 60-65 second working time. 5/16 (.27") -Inch diameter by 4-Inch length. Made in the USA. 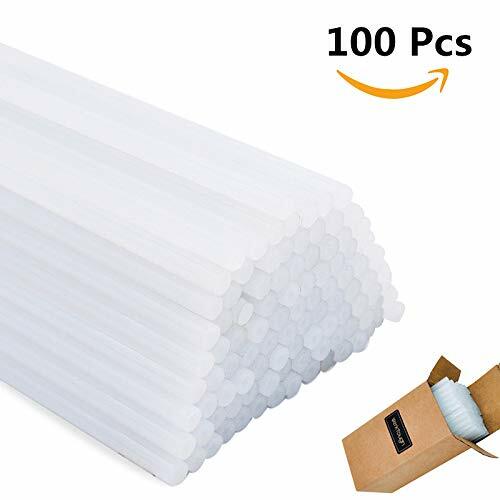 Surebonder QUAD-725 All Temperature All Purpose Hot Melt Glue Sticks - 8" Quad Stick - 11 lbs - Clear. 3/4" Size Glue Sticks. 8" Long. MADE IN USA. * SODIAL is a registered trademark. ONLY Authorized seller of SODIAL can sell under SODIAL listings.Our products will enhance your experience to unparalleled inspiration. 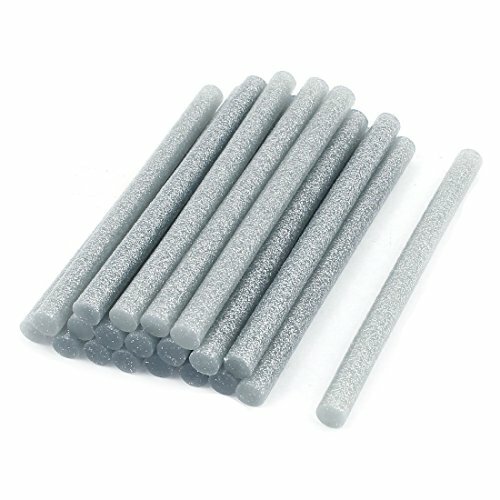 SODIAL(R) 20 Pcs Silver Tone Glitter Hot Melt Glue Gun Adhesive Sticks 7x100mm Material : Hot melt adhesive Size : 7 x 100mm/ 0.27" x 4"(D*L) Color : SilverTone Weight : 80g Package Content : 20 x Hot MeltGlue Adhesive Sticks Note: Light shooting and different displays may cause the color of the item in the picture a little different from the real thing. The measurement allowed error is +/- 1-3cm. 3MTM Hi Temp Polyester Tape 8992 Green, 1 in x 72 yd. 3MTM Polyester Tape 8992, 3.2 mil dark green polyester heat tape with silicone adhesive. 3MTM Polyester Tape 8992, used in a large variety of high temperature masking applications including powder coating and flash breaker / bag sealing applications. Additional applications include splicing, tabbing, or roll closing silicone treated line.